According to the National Endowment for the Arts, there are approximately 500 artist communities in the United States alone. Their definition of an artist community is an organization focused on providing artist residencies. Have you ever considered applying for an artist’s residency? Would an Artist Residency be a Good Fit for Me? The great thing about artist residencies is that they can come in so many different forms. The more traditionally defined artist residency is generally understood to be a single residency (some with room-and-board, some without) for a set period of time, anywhere from a few days to a year or longer, in order to complete a creative project. Naturally, this type of residency is a better fit for someone without a heavy responsibility at home such as young children or a day job. There are, however, residencies available that invite spouses/partners, and even children to stay with you for the duration. Another thing to keep in mind is that for longer-term residencies, the artist-in-residence is often expected to lead community workshops or classes. 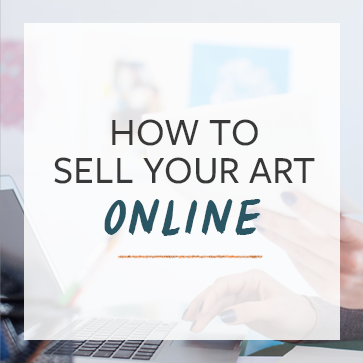 If you’re a serious artist, whether you have some standing in your field or you’re just emerging, there’s likely a residency out there that fits you. The Alliance of Artists Communities provides a worldwide residency directory with a really useful search tool to help you find residencies in areas you’re interested in. The search function is really useful, allowing you to narrow your search parameters by major discipline, keyword, city/state/country, studio/equipment required, accessibility, and more. We chatted with Shannon Amidon a while back and she had tons of great resources, tips, and personal experience to share about applying for residencies (and also grants!) so be sure to give that a listen here. Artist residencies very often take place in a larger art community that not only provides camaraderie with other artists, but also provides value to the community at large through art workshops, classes, and programs. (Why do artists need communities?) 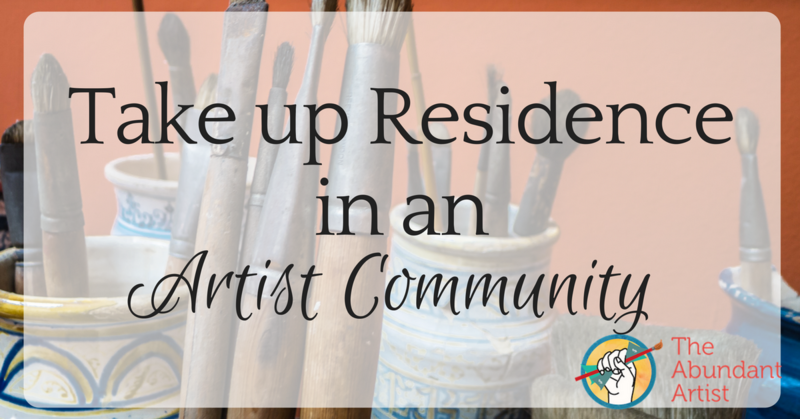 Your local artist guild can probably connect you with local residency opportunities, as well as regular opportunities to learn from local professional artists and the further development of your craft. It’s easy to see why joining a local artist community, whether or not you decide to apply for a residency, is so important. The one area where artist communities often fall woefully short is business. That’s why we’ve created a new kind of online community to fill in the gap- The Abundant Artist Association. Learn more here. Thank you for this useful article. For an upcoming artist like me it’s very useful. This is really cool! I didn’t know about that. Well, you learn something new every day. WHat a great way to become more known in the art world and get to know other creatives as well. I love this idea, especially for the traveling personality. Thank you for the great article!